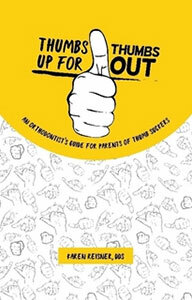 A great resource for parents of tenacious thumb suckers. Practical, easy to follow advice from orthodontist Dr. Karen Reisner who has successfully guided many children in quitting the habit of thumb sucking over 20 years of practice. Dr. Reisner has served the areas of Cresskill, NJ and New York City with outstanding orthodontic care for over 20 years. Dr. Reisner and our team create beautiful smiles, not only by straightening teeth, but by making the whole orthodontic experience unique for each patient we treat. We strive for excellence in everything we do, and in every smile that leaves our office. In a relaxing, calm environment, we go the extra mile to make sure our patients have the best possible outcome and the best experience at our office. Using state-of-the-art orthodontic treatments, such as metal braces and clear braces, in addition to Invisalign® clear aligners, our patients are able to achieve the beautiful smile and functional bite they’ve always wanted. Because our practice is dedicated to providing you with the safest and most convenient treatment options available, we utilize advanced digital scanner technology in our office. We also offer Acceledent® to expedite Invisalign® treatment. Our team continually updates our education and training to stay on the cutting-edge of orthodontic technology. We work exceptionally hard to ensure that the care we provide exceeds expectations on all levels. Dedicated to our community, our office participates in fundraising throughout the year with organizations such as Smiles Change Lives, Meals on Wheels, Table-to-Table and donations to the pediatric wing of Englewood Hospital. We structure our office hours to accommodate most busy schedules. We look forward to hearing from you. Feel free to live your life with a great smile! Contact our Cresskill orthodontic office to schedule a complimentary consultation with Dr. Reisner. You’ll be smiling in no time!